Miracle Beauty Oil for Skin: Hair: Nails! Just B Au Naturel's Organic Argan Oil is a multitasking beauty oil which is grown organically and has astonishing healing, conditioning, and antiaging properties that give a hydrated and nourished complexion. It is a fast absorbing oil that miraculously restores your skin, hair, and nails - use it daily as a moisturizer, or to heal and condition everything from cuticles to split ends. It helps build collagen, reduces the appearance of fine lines & scars, strengthens and repairs nails, improves hair texture and treats split ends. 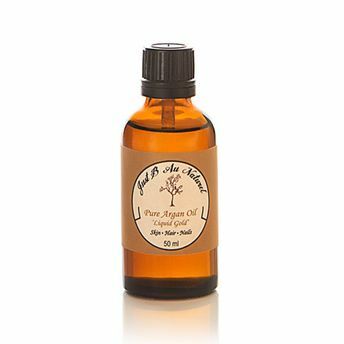 It's the perfect beauty oil for face, hands, body, hair, and nails and is aptly called 'Liquid Gold'. Rich in vitamin E and essential fatty acids, this miracle oil is known to prevent skin dehydration, inflammation, hyperpigmentation and excess production of sebum.